For the great escape, the Outer Hebrides offer the visitor a distinctively different, magical destination, rich in ancient history and cultural heritage. These beautiful islands are easily accessible by plane and ferry, where the visitor will find a wild, natural landscape, long sealochs, stunning sandy beaches, and the warmest hospitality. Stornoway is the main town and port on the Isle of Lewis, the perfect start or end point as part of an exploration further afield to Harris, Uist, Barra et al – but do stay in town for a while. 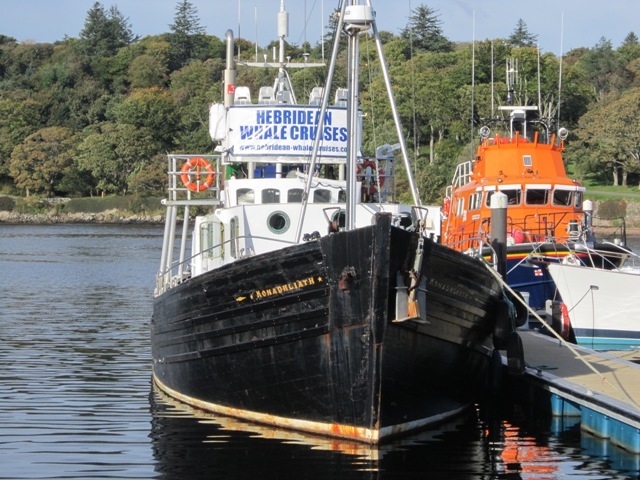 Stroll along the waterfront of Stornoway Harbour packed with fishing boats as well as wildlife boat trips for a thrilling seafaring adventure. Surounded by lovely gardens and woodland, the turreted, 19th century Lews Castle, on a hill overlooking the town, has been transformed into the Natural Retreats – luxury, self catering accommodation. 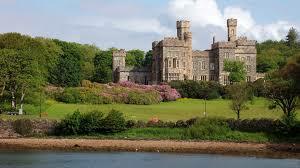 Next door is the marvellous Museum nan Eilean with its historical treasures including the Lewis Chessmen. After an energetic tour around town, time for good wholesome sustenance. 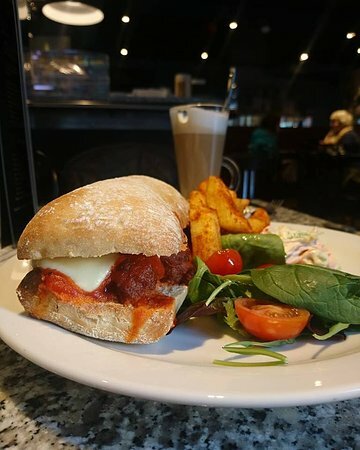 For lunch and dinner, highly recommended is The Lido, a most welcoming, family run, Italian-Scottish Café-Bar-Bistro with the cool, casual ambience of an American Diner. While I’ve not actually been there, it reminds me of Katz Deli Diner in New York, made world famous in the wonderful romantic movie, “When Harry Met Sally” with its hilarious lunchtime sandwich scene. 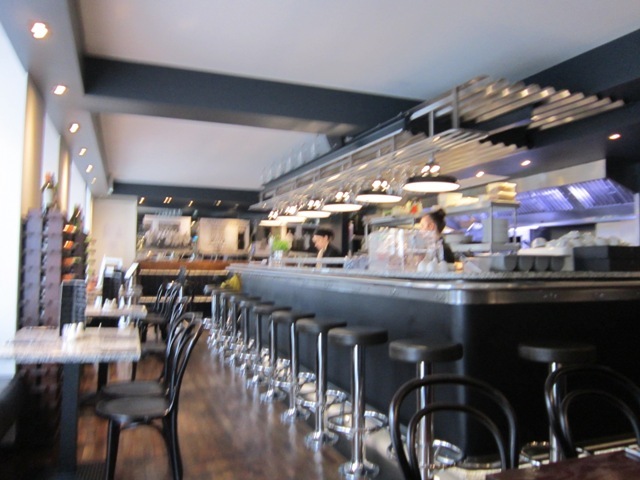 The equivalent to Katz Diner in Stornoway is sleek and chic, all shining grey marble and silver chrome with a central theatre kitchen, long bar counter with stools, banquette seating around the walls, Bentwood chairs and neatly spaced dark wood tables. Launched in May 2017, The Lido is run by an entrepreneurial couple, Emma, the Manager, her partner Lee as Head Chef and their friendly young team of staff. The design is really superb with decorative lobster crates and collection of vintage photographs of Stornoway through the decades to give a charming sense of Island heritage. I visited for lunch (very wisely served to 3pm for hungry tourists), with a most enticing menu on offer. Chunky Ciabatta sandwiches, Burgers (lamb, chicken and Chick pea/beetroot), and several healthy but hearty salads, a key speciality here are the unique home made Pizzas. Depending on the season, there’s a varied choice with some seriously inventive creations: what about Butter Chicken Curry, or Salami, Prosciutto & Peperoni Pizza? I selected a vegetarian Pizza with creamy mozzarella, tomatoes, sprinkled with red onion and colourful peppers. Onions and peppers can often be left raw and crunchy but these were roasted well. The hand stretched dough is super thin, lightly textured with a slight salty flavour – just perfect to roll up a triangular slice and eat with fingers!. To accompany my delicious pizza, I sipped a glass of crisp cold Pinot Grigio: a well selected, reasonably priced Italian wine list as well as share a bottle of Prosecco sparkling fizz. No wonder the Lido is popular when Cocktails are being shaken up not stirred. 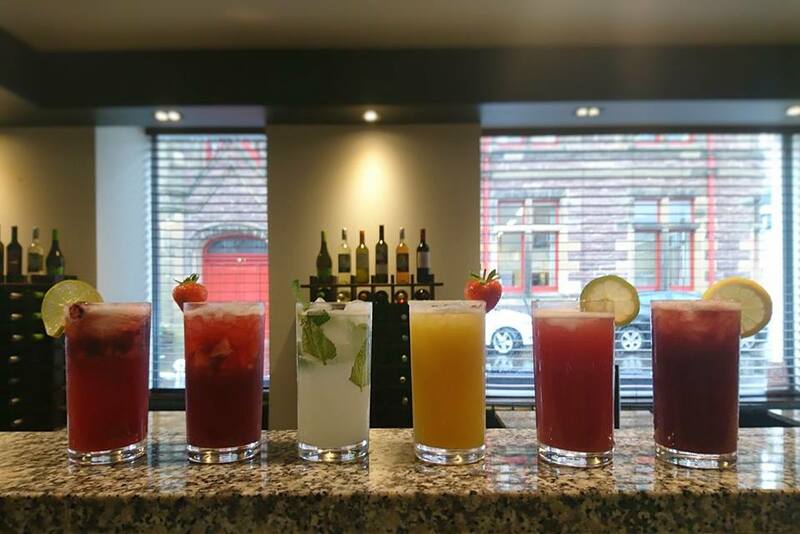 The House cocktail – Smirnoff Vodka, Blackberry and lemon zest sounds divine, alongside classic tipples, Martini, Mojito and the girl’s fave, the Cosmo. 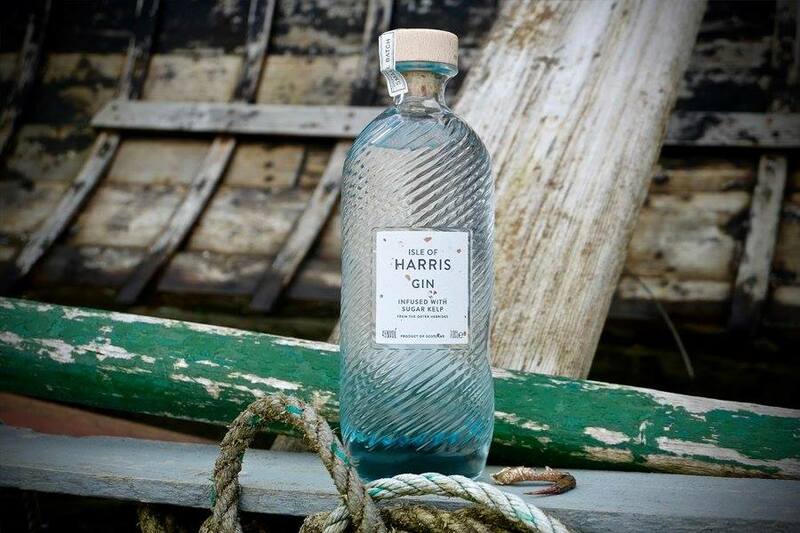 Quality Beers too, and gin lovers should try the local Isle of Harris Gin scented with sugar kelp to give a whiff of the sea. Harris Gin is also used in desserts such as a creamy Pannacotta to give it a spirited kick. In the evening, The Lido transforms into a romantic Restaurant with beautifully set tables (tea lights, black napkins) for a casually sophisticated ambience. Locally sourced produce is emphasised in the modern Scottish cuisine such as an Indian spiced Stornoway Black pudding croquettes, and the freshest, crate to plate Scallops for starters. For main courses, Venison and Partridge Pie with red wine gravy and vegetables, Pork steak with haggis bon bons, Salmon served with seaweed polenta fitters. 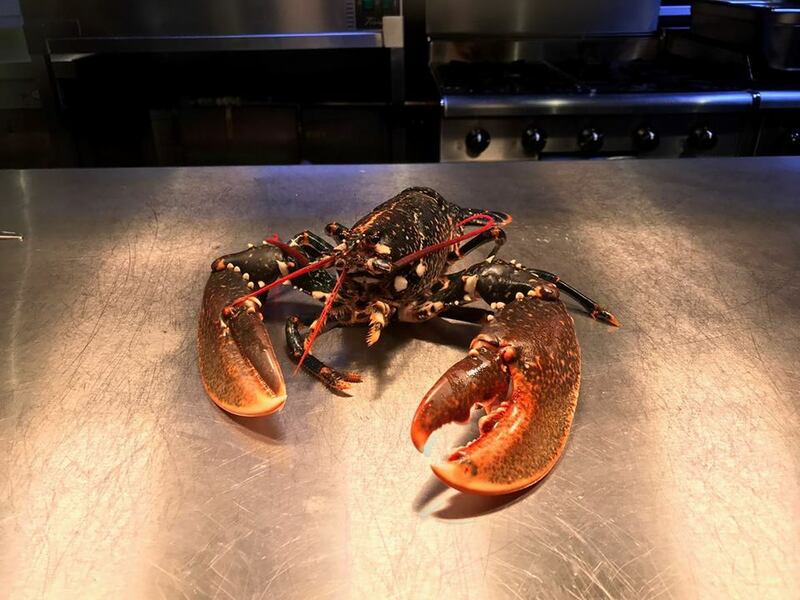 Local seafood is proudly celebrated with catch of the day specials such as classic Lobster Thermidor. Talk about the taste of the Hebrides!. 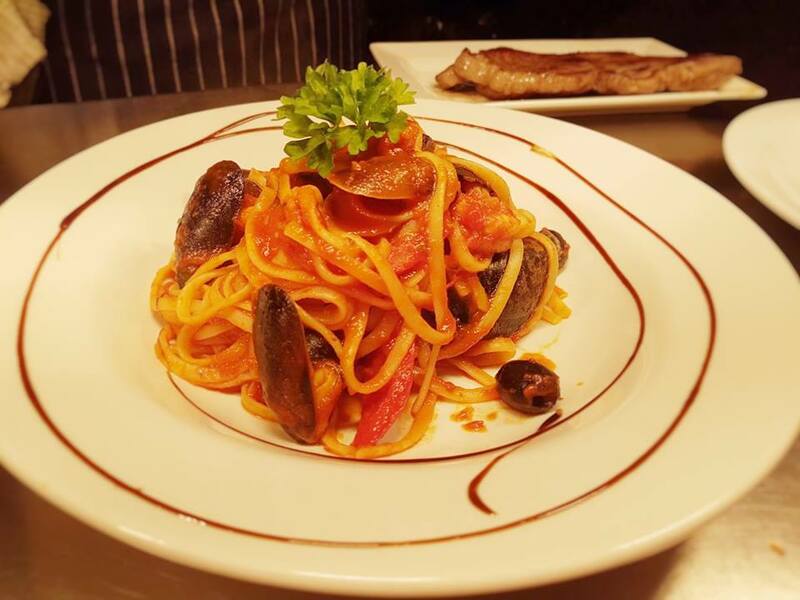 Superb Vegetarian dishes too such as Goat’s Cheese salad and Spicy Moroccan Sweet potato cakes; to finish your meal, homely puddings, Chocolate brownie and Gelato. Vegan, gluten free banana muffins – yum! 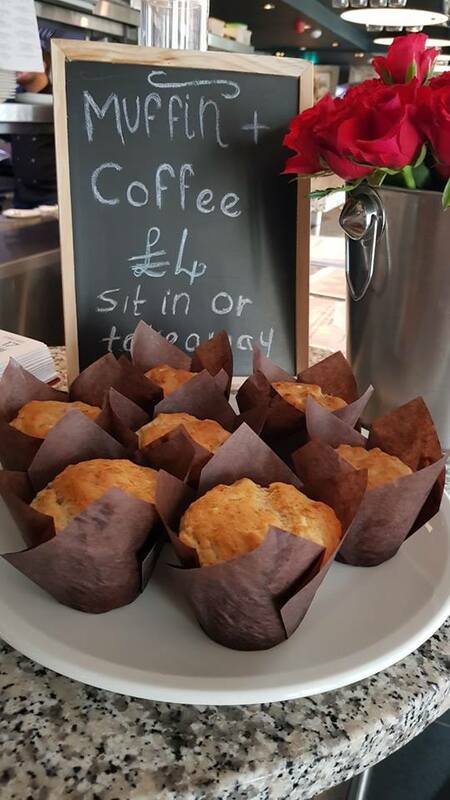 Call in here for coffee, tea and home made cakes, rum and raisin scones and Vegan gluten- free banana muffins while Pizzas are available also for Take-away. Browse their colourful Facebook pages with topical news, menus, dining and drink offers and special Pop Up events such as Valentine’s, Mother’s Day and Easter treats for the kids. 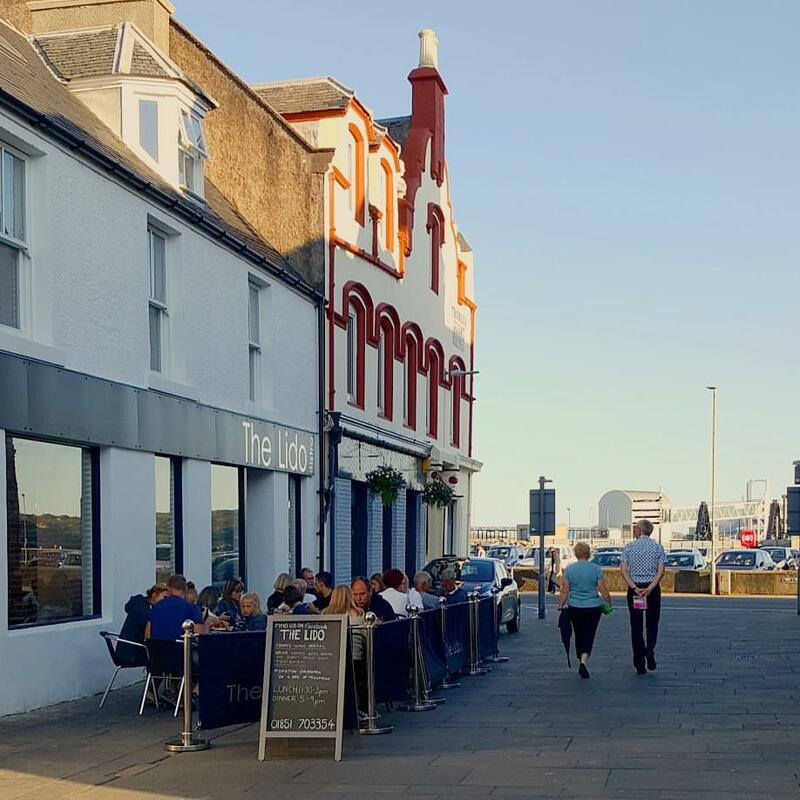 Cromwell Street is a quiet, pedestrianised lane, so on warm days, sit outside for an alfresco feast with a view down to the harbour. Due to its terrific fan base (local and far and wide), The Lido has been voted into the top ten in the category of best Newcomer in the forthcoming Scottish Entertainment and Hospitality Awards 2018, the winners announced on 29 April. Good luck! As you will see from the comments below, don’t just take my word for it. 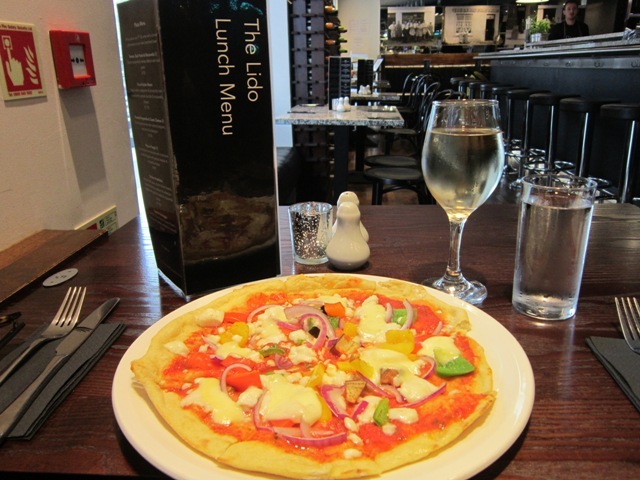 The Lido is a brilliant dining concept, fresh, home made Italian dishes with a Scottish accent and flavour. 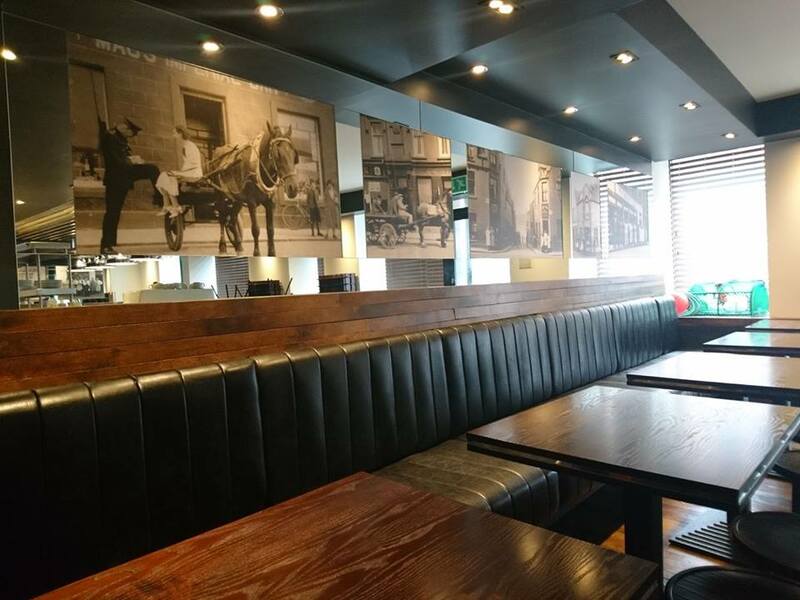 It is almost magical how it changes in character and style, day to night from coffee house, Pizzeria, Cocktail bar and fine dining Restaurant. With Spring and Summer around the corner, new seasonal menus are coming soon, to entice local residents and island visitors to call in for a superlative snack, drinks, lunch or dinner. For their artistic and culinary vision, passion and commitment in creating their new business, Emma and Lee deserve great success. 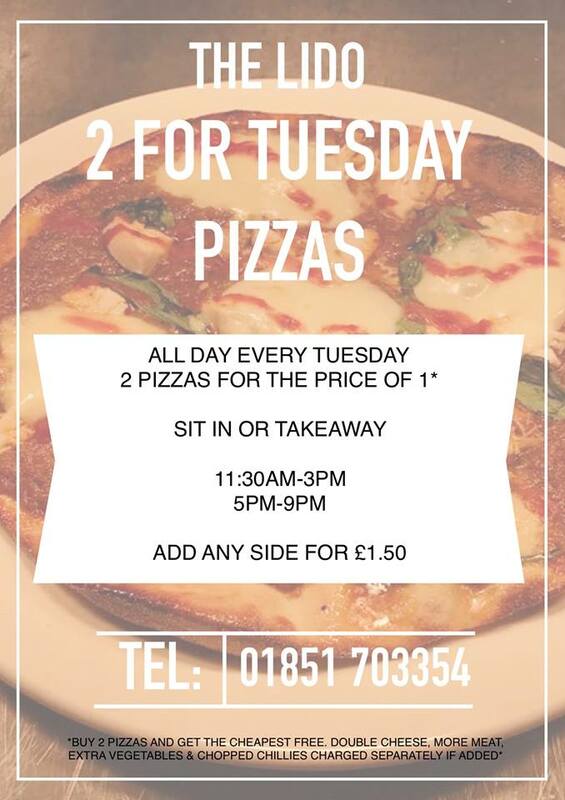 Visit Stornoway soon and be sure to reserve a table at The Lido.! Best pizza in town by a mile. In fact, best pizza I have had in years. Thin, crispy, light and really tasty. Absolutely brilliant, Staying in Stornoway we loved “The Lido” so much, we returned twice. Amazing food – highly recommended. We absolutely love the Lido. The best Smoked Salmon and Lemon Risotto I’ve ever had! 5 stars!. Chicken liver and Harris Gin Pate with plum jam to start – excellent. My friend had the scallops and black pudding – great! The lamb burger with sweet potato fries was also superbly tasty with crisp fries. Chocolate brownie dessert topped it off.